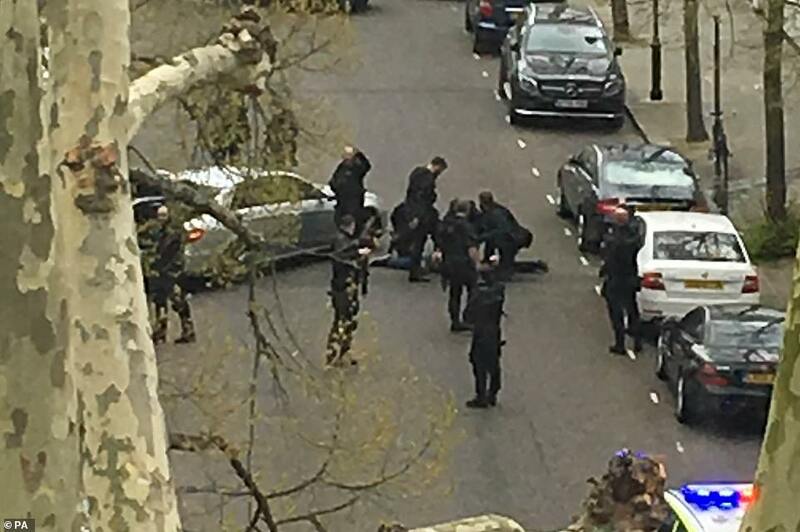 This is the moment armed police arrested a man who 'deliberately and repeatedly rammed' his car into the Ukrainian ambassador's vehicle outside the embassy in west London this morning, after officers opened fire to try and stop him. 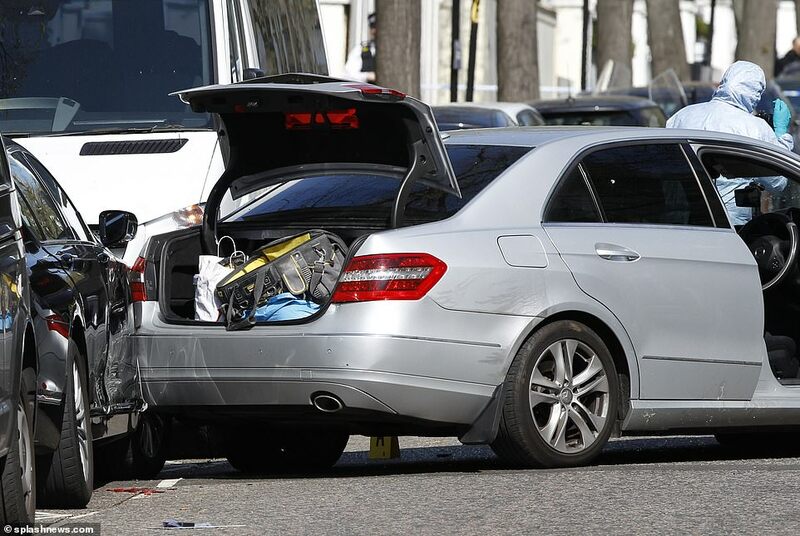 A silver Mercedes raced towards Natalia Galibarenko's parked car outside the embassy building in Holland Park, crashing into it twice at around 10am. 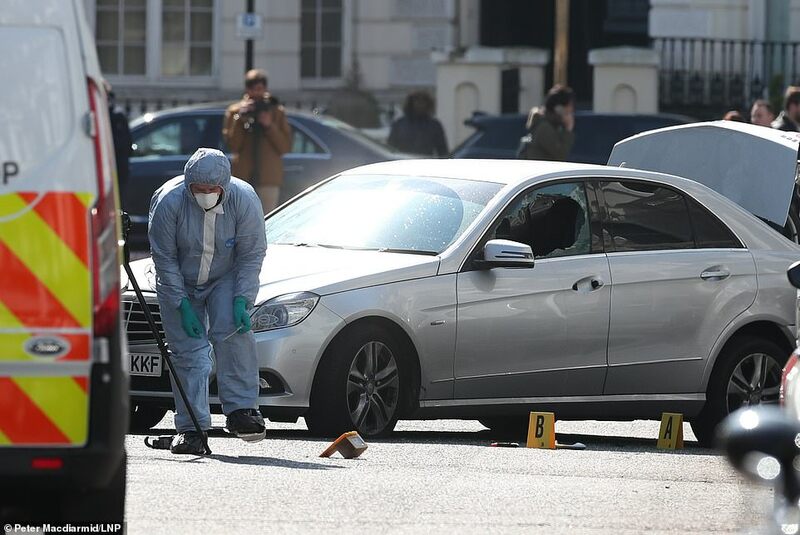 As police officers arrived at the scene, the car then drove towards them, prompting them to open fire, shooting at the driver through the car window. A taser was also used before the vehicle was stopped and a man in his 40s was arrested and taken to hospital - though he was not injured. 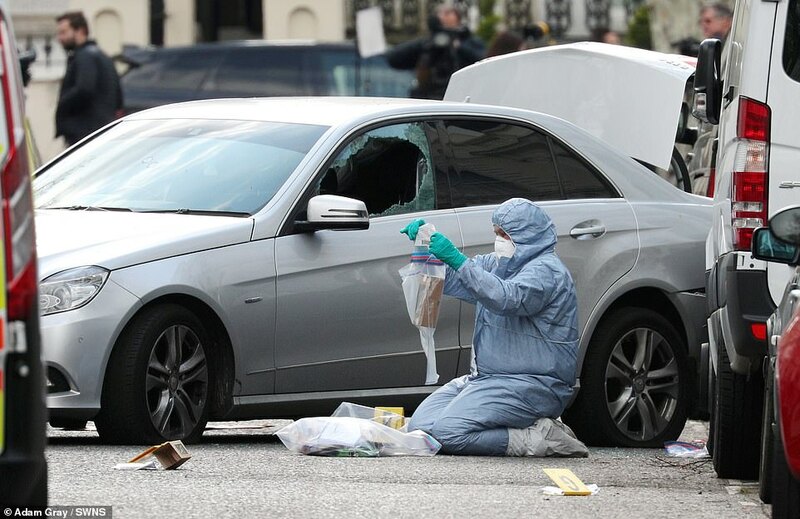 Though the motive is unclear, the Ukrainian Embassy claimed that the ambassador's car was 'deliberately rammed' in the incident this morning. 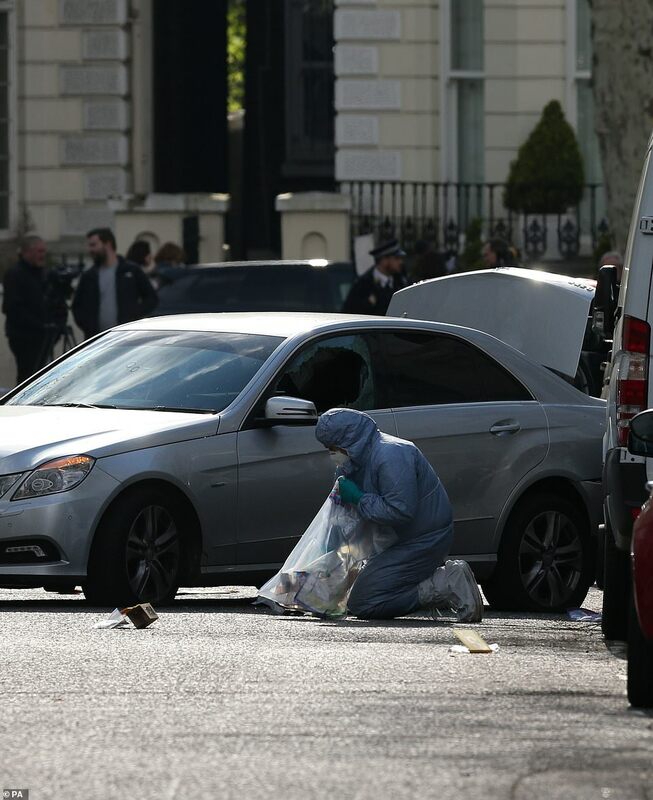 The statement from the embassy said: 'Around 10am on Saturday 13 April, the official vehicle of the Ambassador of Ukraine to the United Kingdom was deliberately rammed as it sat parked in front of the Embassy of Ukraine's building. 'The police were called immediately, and the suspect's vehicle was blocked up. 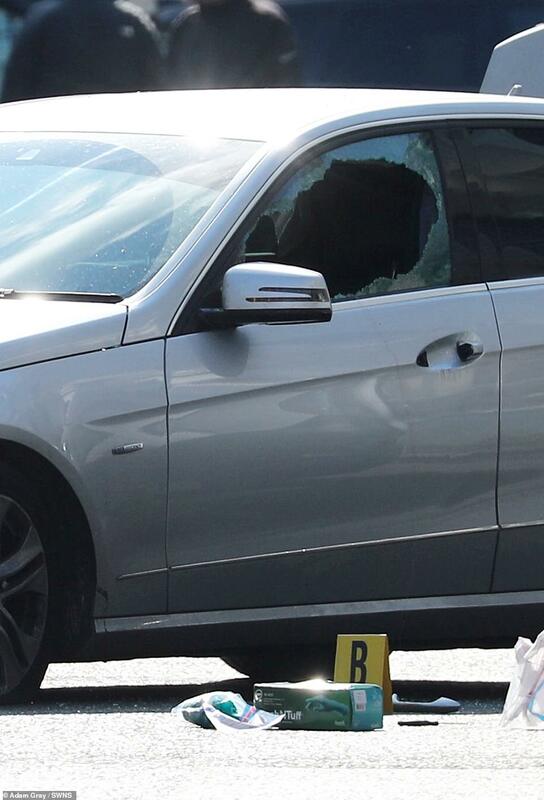 Nevertheless, despite the police actions, the attacker hit the Ambassador's car again. Emma Slatter, who is Visa's general counsel, watched the scene unfold with her partner David Hinsley, a banker who is also in his 50s. 'We could see two police cars at this end of the road and one about half way down looking the other way,' she said. 'It seems like he was moving erratically or wanting to move away from being boxed in, maybe not realising there were police behind him as well. 'I think I heard about half a dozen shots,' she said. 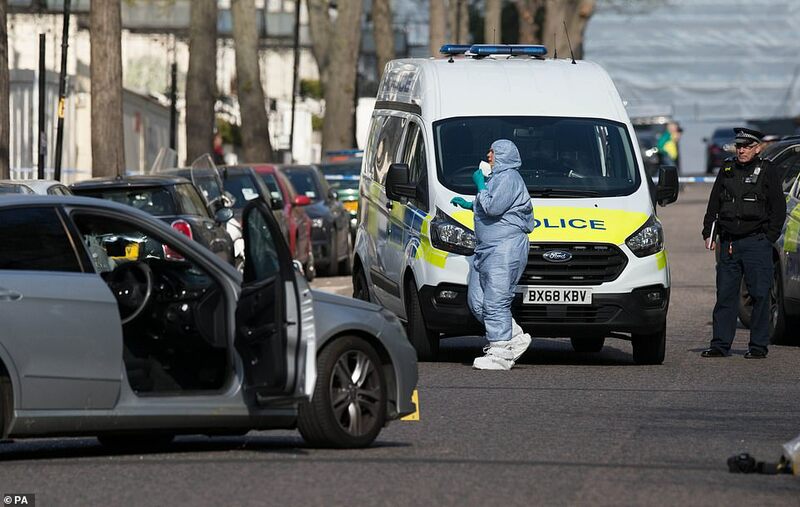 'I could see police had got the guy out of the car and they had him on the ground,' Ms Slatter continued. 'The police seemed in charge. There were probably about eight to 10 guys in full body armour, some with submachine guns. 'He (the suspect) was stumbling but he wasn't resisting. We thought he might've been shot but there wasn't any evidence of any blood. 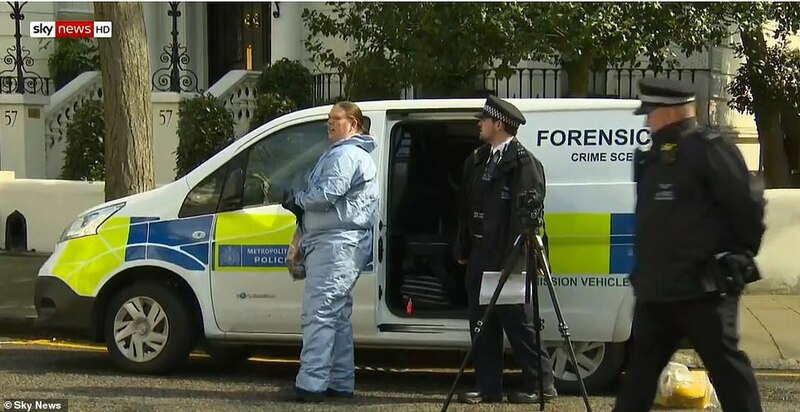 'They frogmarched him into the back of the police van,' she said, before the suspect was transferred into an ambulance. 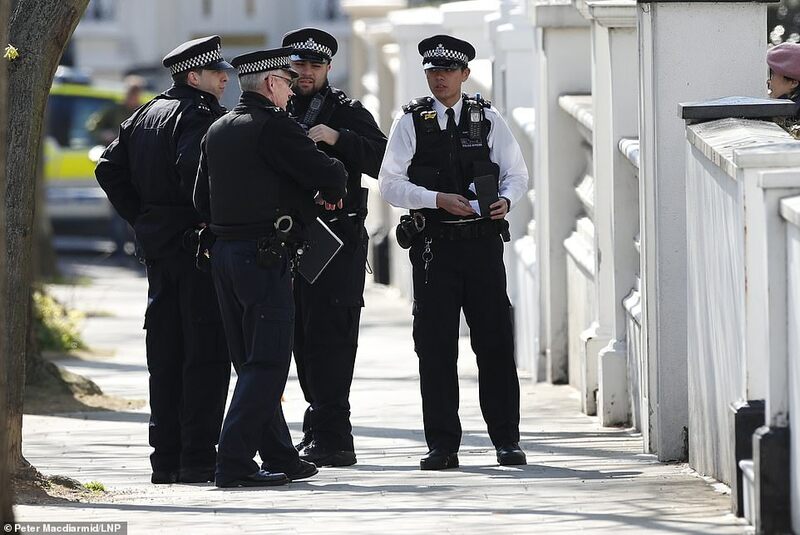 Police have sealed off the street near the Ukrainian embassy in west London. A woman who works at a nearby shop said she heard shots fired twice between 10am and 11am on Saturday. 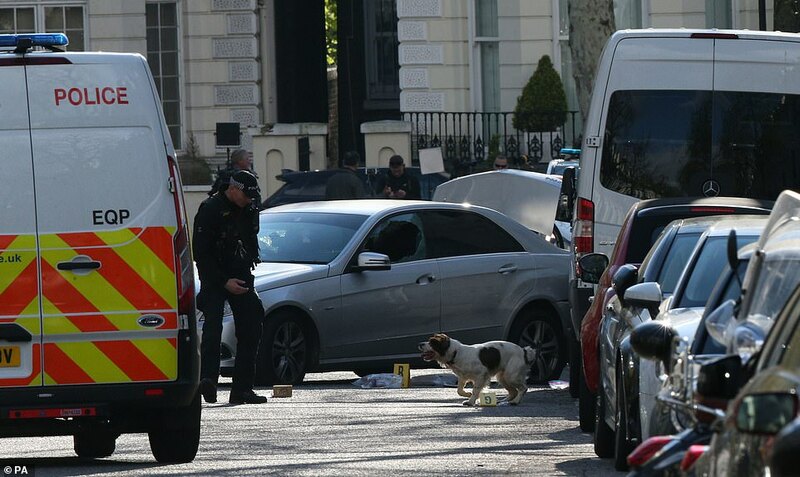 Bruno, 65, whose house is within the police cordon, said: 'I heard one police man saying to another 'break the glass' and they broke both windows on the front of the car. '[The shot] got me out, I just went out to see what it was then when I realised what was going on I went back inside. 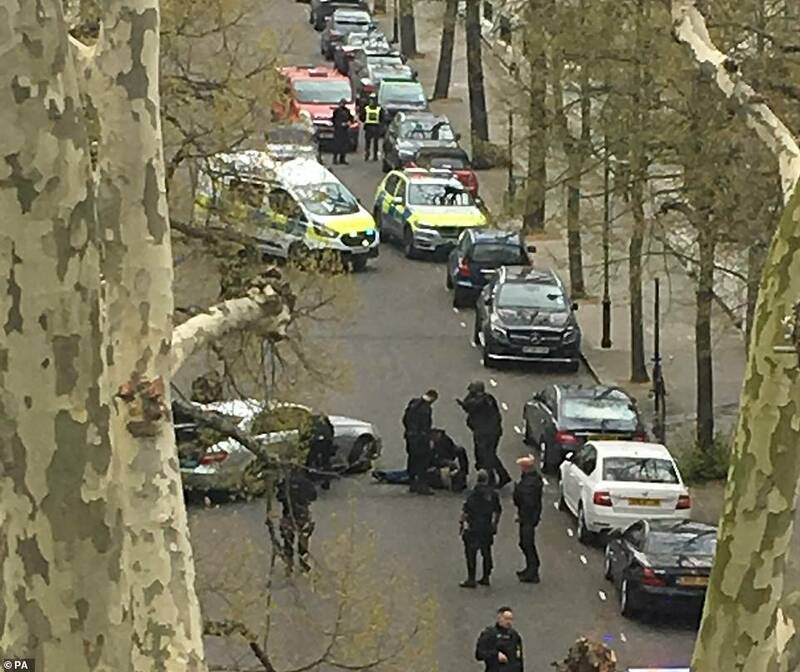 One witness in the area claimed on social media they had heard up to 10 shots in Holland Park this afternoon. Photos from the scene show a number of police cars and officers in the area. Henry Greenfields, who lives nearby, told MyLondon a neighbour had heard shots fired and then seen police return fire. Another local resident said he had heard 'seven or eight' gunshots. 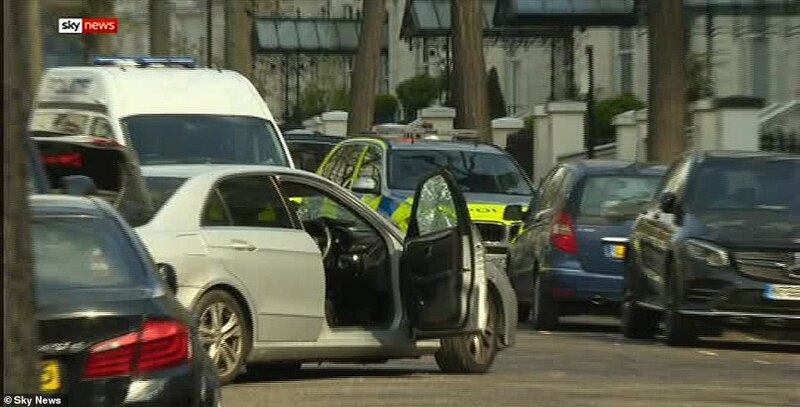 Foreign Office minister Sir Alan Duncan said he was 'very concerned' to hear about the incident, and he has spoken with Ukrainian ambassador Natalia Galibarenko. He tweeted: 'Very concerned to hear of the incident near the Ukrainian Embassy this morning. 'I have just spoken to Ambassador Galibarenko @UkrEmbLondon and am glad to hear that no one was hurt.